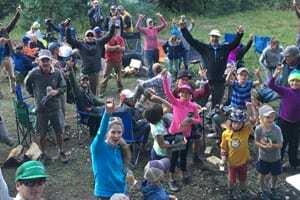 Come join CBMBA for a full weekend of trail work and community building! The campout and work weekend are NOT to be missed! CBMBA, with partners Rim Tours, provides the food for the weekend, you bring the muscle. We’ll wrap up Saturday with a bonfire, libations, and gear giveaway, then get up again Sunday to do some more trail work. Families are encouraged to attend. For more info, visit cbmba.org.